One of the best way to control health as well as the weight is to have digestive health system ready and healthy. Our aloe vera gel stabilized will help you to start your way to your quick start for good weight management. Forever living weight loss products helps you to have a quick start of your weight management program. FLP clean 9 will help your journey to lose weight easily with perfect guide to right Nutrition. Your Journey to your loosing weight will help you. Today, more people than ever are conscious of their weight and living a healthy lifestyle. What would you consider to be the ideal diet? It should taste good, be easy to follow, boost energy levels, and of course, keep the pounds off. Good news! Our range of weight management products assists you in doing that and more. ​For a meal on the go, whether you’re looking to lose weight, gain muscle or just need an energetic boost, reach for Forever Lite® Nutritional Diet Program. Mixed with milk or your favorite fruit juice, Forever Lite delivers a nutritious kick of vitamins, minerals, proteins and carbohydrates. Rich in proteins for bodybuilding, growth and repair, two shakes a day provide 100% of the RDI of many vitamins and minerals. Each shake contains 18 amino acids (including all 8 essential ones) and trace elements including iron, and iodine, plus fiber. To protect against free radicals, we’ve added antioxidant Beta Carotene and vitamins A and E, and used the natural fruit sugar fructose, instead of sugar or aspartame. Helps block the absorption of calories from fat and carbohydrates. Chromium helps the body regulate the blood sugar for a normal metabolism.Temporarily inhibits the body's absorption of calories from sugar. Forever Lean™ provides two revolutionary ingredients that can help reduce the body’s absorption of calories from fat and carbohydrates. The first of these ingredients is a unique, fat absorbing fiber derived from the cactus plant, Opuntia ficus-indica, otherwise known as Indian fig, nopal or prickly pear. Studies have shown that this unique fiber has a very high ability to bind fats, compared to other types of plants. ​Forever Pro X²® comes in two mouthwatering flavors – Chocolate and Cinnamon. Both bars include Vitamin A, Calcium and Iron to keep your body fueled. 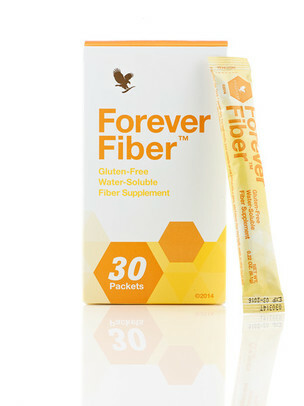 A special fiber also doubles as a prebiotic to help your digestive system. ​Each bar is packed with 15 grams of protein from three types of protein: soy protein isolate, whey protein concentrate and whey protein isolate. This tasty snack is the perfect way to build muscle and help you on your journey to looking and feeling better.